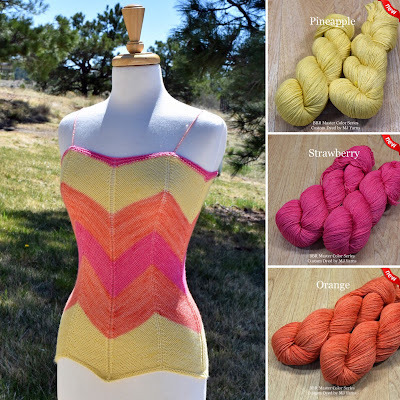 Sunny days and warm weather doesn't have to mean a vacation from knitting or crocheting. We've created a new palette of refreshing colors inspired by the colors of summer: think cool, fruity treats like sherbet, Italian ice, sorbet, or ice cream! 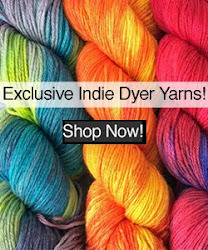 These scrumptious colors are our latest installment in the BBR Master Color Series, dyed exclusively for us by MJ Yarns. For this season's palette, we chose Lhasa Wilderness, our sport weight blend of yak and bamboo: shimmery, light, and oh-so-soft, it's the perfect choice for warm-weather projects. The breathable bamboo fibers are also naturally anti-bacterial, and they're blended to perfection with our soft, hypo-allergenic yak fiber in this popular yarn base. 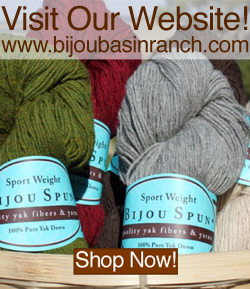 With generous yardage (250 yards per skein! ), you can easily make a lacy shawl or a textured stitch cowl with just 1 skein. Beat the summer heat with our new project kit, the Chevron Tank. Shown here in Pineapple, Orange and Strawberry, this on-trend top will keep you cool while looking cool. 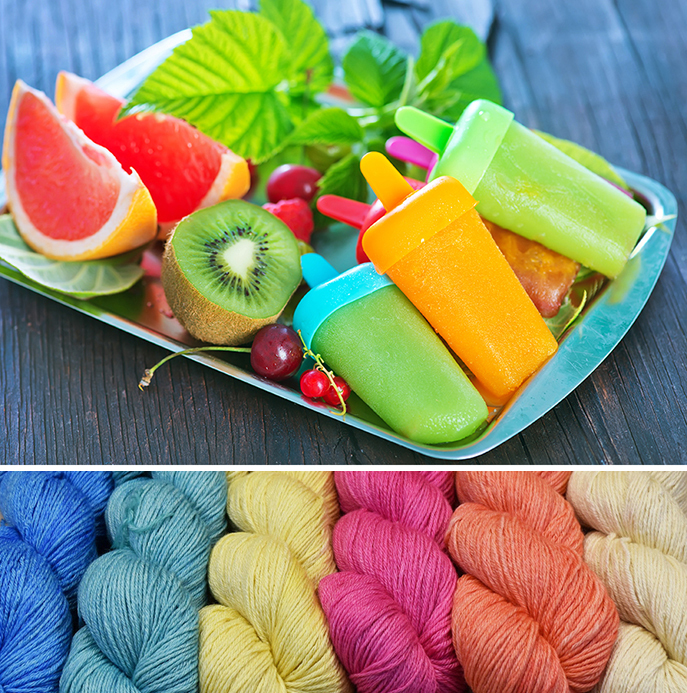 There are so many possibilities for mixing and matching with this fun project - you could even pair our newest Master Color Series palette with some of our other hand-dyed colors if you dare. Each kit includes a print copy of the pattern, your choice of yarn colors, a BBR project bag, samples of Allure Fiber Wash, and a custom-made stitch marker from Purrfectly Catchy Designs, and is available for a special discount. Click here to purchase the Chevron Tank Kit. Like this post? Pin & save this color inspiration on Pinterest!